A new vegan and vegetarian focused Japanese food stand has opened at Findlay Market. 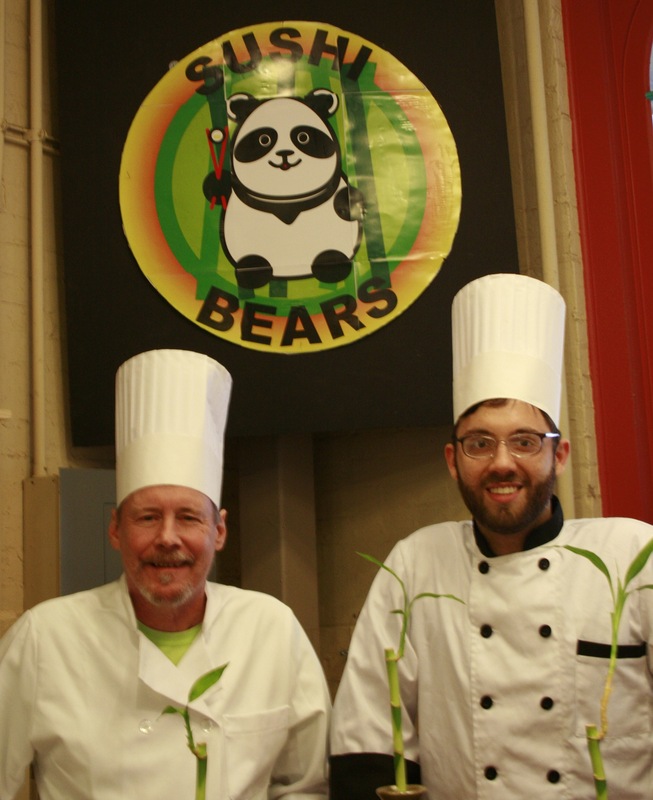 Sushi Bears is a food concept run by chef Dan Wells and his business partner Steve Hauck. Wells attended culinary school at Great Oaks vocational school in 1998, and since then has worked at nine restaurants throughout Cincinnati including Palomino’s, Ambar India, and Mecklenborg Gardens. Wells and Hauck are the sole investors and signed a two-year lease on the 160 square-foot booth so that they could fulfill a desire to create an attainable, healthy dining option in the area. According to Wells, the customer demographic was among many reasons for opening Sushi Bears in Findlay Market. 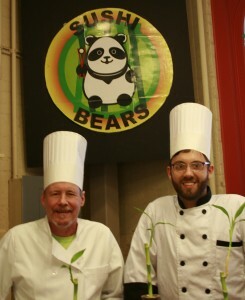 After discussing several naming options, Wells and his team decided on Sushi Bears, drawing inspiration from the bamboo-eating panda bear that has since become the mascot and logo for the company. Chef Wells is currently serving Japanese inspired stir-fry and drinks including mango chill, bubble tea and hot green tea. There are plans to expand to vegetarian maki-style sushi rolls by mid-November when they expect to complete construction in the new space. The partners did say that they intend on sourcing a majority of their produce and spices through other Findlay Market vendors, in an effort to help boost the local economy and provide inspiration for new sushi creations. Taste of Belgium neighbor Jean-Francois Fletchet believes a difficult journey might be ahead for the entrepreneurs selling a niche product. To help avoid such a lull, Wells plans on supplementing the lunch crowd with unique catering options and sushi classes. Sushi Bears is located in the center of Findlay Market, across from Taste of Belgium and Bean Haus booths. The Japanese style stir-fry, drink and sushi booth is open Tuesday through Friday 9am to 6pm, Saturday 8am to 6pm, and Sunday 10am to 4pm. Jenny is a local designer who has a passion for people and for Cincinnati. She began writing for UrbanCincy in September 2009, and served as the website's operation manager until March 2012. Jenny currently works for ArtsWave and manages the OTR Urban Kickball League.